Right down the street from the Governor's Mansion, a group of his constituents met at the Quapaw Quarter United Methodist Church for its service to make a point. The governor said the license is a way to recognize and honored disable veterans for their service and sacrifice in serving the country. The session wrapped up this week with state lawmakers passing more than 800 new laws. 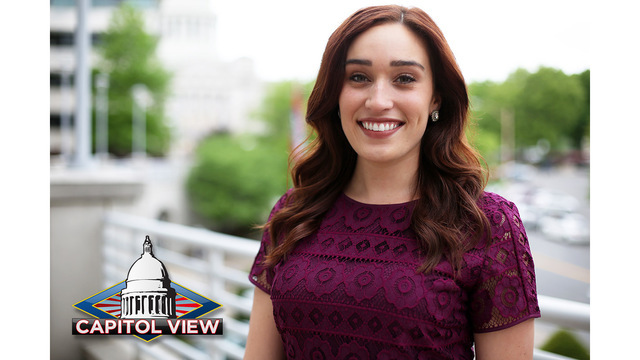 On this week's Capitol View, the House and Senate leadership, along with two freshman Democrats, join Jessi Turnure to debate the biggest accomplishments and failures of the 87-day session, along with what's to come in the next two years to prepare for the 93rd General Assembly. The first ballot initiative would cover the bulk of the funding for the governor's $300 million longterm highway plan. It would permanently extend a half-cent sales tax that voters approved in 2012. The second would make it more difficult for Arkansans to change the state Constitution. The third would limit state lawmakers to serving 12 consecutive years in office. Hosted by KARK Political Correspondent Jessi Turnure, Capitol View is a statewide political talk show airing Sunday mornings at 8:30 on KARK. The Sunday broadcast is available to more than 2.5 million households in the television markets of Little Rock, Ft. Smith-Fayetteville, Memphis, Monroe-El Dorado, Shreveport-Texarkana and Springfield. Capitol View, debuted in April 2013 as Little Rock’s first weekend morning political show. It focuses on the issues and newsmakers driving the Arkansas political scene. The show has featured interviews with the biggest names in Arkansas politics including all six members of Arkansas' U.S. congressional delegation, Governor Asa Hutchinson and presidential candidates Mike Huckabee and Hillary Clinton. The broadcast expanded statewide in March 2014. In its first couple of years on television, the show has been a hit with politicians, viewers and critics. The broadcast was named an "Editor's Pick" by the Arkansas Times in its 2013 Best of Arkansas issue and "Best Addition to Arkansas Political Journalism" by Arkansas Democrat-Gazette columnist John Brummett.